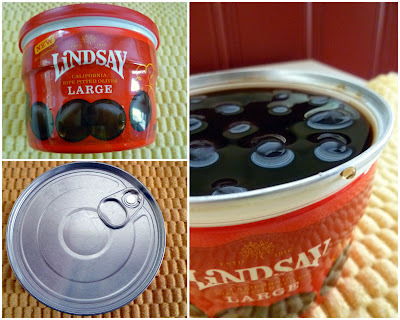 Lindsay Olives sent me a box of olive-y treats to try and while I had a brief and passionate love affair with the Nutty Almond Queen Olives (they were gone before I knew it and now, sadly, I can’t find them where I live), I really loved their resealable containers. Because, really, how often do you actually use an entire can of olives all at once? I loved being able to use a handful in a recipe without wasting the extras or dirtying any extra dishes for storage, or popping out a few for a snack for me or the kids (well, kid…the other one would be perfectly content eating scrambled eggs, cold cereal, chicken nuggets, and macaroni and cheese for the rest of his life if I’d let him). I actually want to talk a little about picky eaters because this is something we’ve basically battled since my 5 1/2-year-old was 11 months old. It’s really, really hard for me to understand because aside from my food preferences and a few things I just don’t like, I’m really just not very picky and I never have been. I’ll tell you straight up that he doesn’t like olives, but because he is going to Kindergarten next week (and thus the one needing a packed lunch), he was the one on my mind when I was coming up with this recipe. But how do you come up with an olive-related lunch for a kid who doesn’t like olives? I’m definitely not an expert on picky-ness in kids (believe me. Dinnertime can be a little stressful at our house.) But one thing I’ve really tried to do is introduce foods he’s not super crazy about with foods that I know he likes. I also try to make it easy for him to pick out what he doesn’t like so he knows that a) the world isn’t going to end if the thing he doesn’t love touches his other food and b) he has the option of not eating what he doesn’t like. However, if he doesn’t want something, he has to politely pick it out himself. It seems like, over the years, we’ve gotten him to end up eating a lot of foods he wouldn’t eat otherwise. I’m hoping it’s just a matter of time before he starts eating those olives because pretty soon, his little fingers are going to be too big to sport the olive fingernails that were pretty much a given at any family gathering with a relish tray when I was growing up. and tossed it in a flavorful (but not overwhelming) dressing. The verdict? He loved it. More specifically, he loved the tortellini, dressing, and cucumbers, and he even ate a few olives. And he asked for seconds. Which means it’s a total winner in my book. I figure with the pasta and veggies, this works as a light lunch, especially with some fruit on the side. You could also serve a smaller portion alongside a half sandwich or, when the weather cools down, with a small Thermos filled with soup. Cook the pasta according to package directions. Meanwhile, combine the onions, tomatoes, cucumber, and olives in a large salad bowl. When the pasta is done cooking, drain and rinse in cold water. When the pasta has cooled, toss it with the combined ingredients and then add the salad dressing and toss until combined. If possible, refrigerate for at least an hour before serving. Serves about 8. Kate you know we love pasta at our house and even better with olives and cherry tomatoes thrown in. Dee-lish idea! This was such a fun challenge to be a part of! Oh yum. I want some. Looks perfect for a school lunch dish. I am going to have to test it out on the kids and see if they like it. I already know that my kids are going to adore this salad! Thank you SO MUCH for participating in the challenge! One no adult can say they don't like a certain food in front of the kids tell me when they are not around and I won't ever fix it again. My husband hates mushrooms won't touch them with a 10 foot pole. my kids all 4 of them love them. The other trick is everything that you are eating is on everyone's plate and nothing is said and there is no give it a try they will see you eating it and they will eventually try it. This looks delicious! I have an opinion question for you. We want to do steak fajitas this week. Do you think your chicken fajita marinade would taste good on steak? As I was reading through the ingredients, it was making my mouth water just thinking about it. The Chipmans- take a look at that fajita post and you'll notice the title is "Chicken or Steak Fajitas" 🙂 So, yes! It's fabulous on steak, enjoy! Hi Kate, this looks yummy. Right now, I am heating up some water for tortellini and I may attempt something like this, depending on what I have on hand. I wanted to let you know that there is some statistic about how many times a child has to try a new flavor, something ridiculous, like 13 times or more, I remember thinking it was a lot of times. Both my children are very adventurous as eaters (25 and 30) and when they were little, I just would give them a tiny taste of something they didn't like, say sweet potatoes or winter squash. I wouldn't make a big deal out of eating it, just asked them to give it a try and guess what? They both love those veggies now. You did the right thing, having the majority of ingredients that you know he liked and then adding some new bits. With time, I bet he will enjoy everything in that dish. Oh, I make a salad with feta, halved tomatoes, cukes, onions and olives with an Italian dressing that is served cold, like your dish. Pasta is such a great cooking canvas, isn't it? As usual, this looks fabulous! Thanks ladies! This would be a big hit with my kids – they would be so excited to find it in their lunch boxes. I was looking for something yummy and cold for dinner last night and so I tried this. It was a hit! Can't wait to make it again! Thanks so much. Oh my goodness is this salad wonderful. I just made it and contemplating going back to the store for more ingredients to make it for my lunch for work next week. It's filling without making you feel full. YUM! I made this at noon for dinner tonight and it’s really good, even before chilling! I’m excited for dinner. I made a half recipe of the Mustard Viaigrette and it made exactly one cup- so perfect for this recipe! (I already have homemade ranch and Caesar dressing in the fridge, so I didn’t want dressing overload in there). How far in advance can this salad be made? I wouldn’t make it more than 2 days ahead of time. I am making this for a gathering, and I’m wondering how many this recipe serves? Sorry, I should clarify. I know you said it serves 8, but is that as the main dish, or as a side? I’m making it as a side. I would say 8-10 as a side dish. So what do I do if the kid won’t eat noodles? Yeah that’s right- the whole pasta food group! This sounds great for the rest of us “regular” people. We love tortillini and it was just on sale at Target tonight, so sounds like dinner tomorrow. This salad is FANTASTIC. I try to make new recipes a few times a month and we always rate them as a “keeper” or “not a keeper” This is a KEEPER!!! I don’t do tomatoes so I sub’d with red pepper and I also added some baby spinach and made it a main dish, served with garlic toast. MMMMmmmmmmmmm!!!!!! I just made this and we love it. I used chicken tortellini and sprinkled the dish fresh parma. Very delish!! We looove this pasta. I’ve tweaked it a few times according to what I have on hand. Instead of tortellini I have used wheat pasta and tossed in some feta. My husband actually prefers this version compared to the cheese-stuffed noodles, but I’m sure that’s just personal preference. Overall this is a great dish – a frequent one at our table! I made this for a work lunch…. they loved it! Omg, this was amazing! I stumbled upon your blog doing some google searching, and boy am I glad I did! The dressing alone is great, but the whole salad together is to die for. This one is destined for many a BBQ! Made this pasta salad today to send to a funeral, so I went ahead and doubled it to have some for lunch. AMAZING!!! This is my new favorite pasta salad. The dressing is so delicious. THANK YOU! One of my favorite recipes of yours! Always turns out great and I get so many complements.